Pharmaceuticals group GlaxoSmithKline has signed a five year global logistics contract with Kuehne + Nagel to transport products from the raw materials supplier to trade customers for the leading global healthcare company. 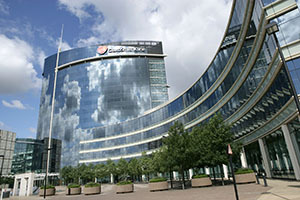 GSK has numerous suppliers, a large number of manufacturing units and a variety of specific routes to patients and consumers in over one hundred countries. Kuehne + Nagel was selected as a partner due to the company’s existing track record with GSK, strength in the industry, maturity of integrated logistics provision and significant investment strategy in pharmaceuticals and consumer products logistics. It is one of Kuehne + Nagel’s biggest contract wins.